Right now Target.com is offering Up to 50% off Kids' Clearance Clothing, plus code SAVE20 at checkout gives you ANOTHER 20% off orders. 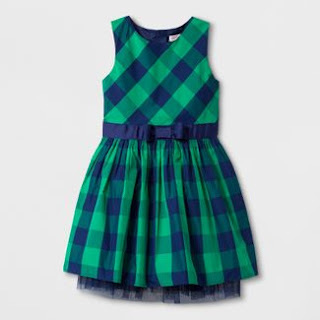 This Girls' Classic Collection A Line Dress is ONLY $9.48 (Retail $24.99). Two Day Shipping is FREE with your Target RedCard and you'll receive an Extra 5% off. NOTE: Make sure you select the Clearance - you'll see Save 20% with code listed on items that apply. Expires 4/7 or while supplies last.